A destination management company (DMC) provides professional services pertaining to a particular region or event. Because the company has regional, in-depth knowledge and experience, a DMC, works to offer favorable conditions for transportation, accommodations, event and engagement experience, preferential rates and incentives. The Wilbur Group, a destination management company, provides transportation and logistical support for all types of exclusive executive, corporate. private, and sports-related events worldwide. We work to identify any special circumstances that might affect your travel. We consult with you so that our planning and execution delivers a predictable and enjoyable experience. Contingencies for all possible scenarios are considered, be it weather-related, flight restrictions or unforeseen mechanical problems. We are your one-call solution. Call us at 1-866-494-5287 to arrange your needs. "Good morning The Wilbur Group Super Team, thank you so much for all of your efforts!! Your service was absolutely exceptional." - Crystal, with DeWolff, Boberg & Associates staying at Opal Sands Resort in Clearwater. The Wilbur Group can help you arrange transportation and events to mitigate the always-on mentality that is so demanded by today’s hotel staff. From arranging a luxury excursion for a private guest to a party bus for large groups, we realize experiences. We can be an extended concierge for you or act as an in house destination management company. Provide motivating rewards and programs employees actually want. Destination Management Companies should be a vital piece of your planning. Be it a staff retreat with transportation that accommodates working engagements during travel time or an all expenses paid get away, the Wilbur Group can devise a memorable package. Let us be your DMC. We offer a battery of transportation logistics and special engagements for discerning, luxury lifestyles. The Wilbur Group understands your time is valuable so we manage and execute every aspect of your needs to deliver seamless experiences. Leave the travel arrangements to us. You need to focus on picking a winner! 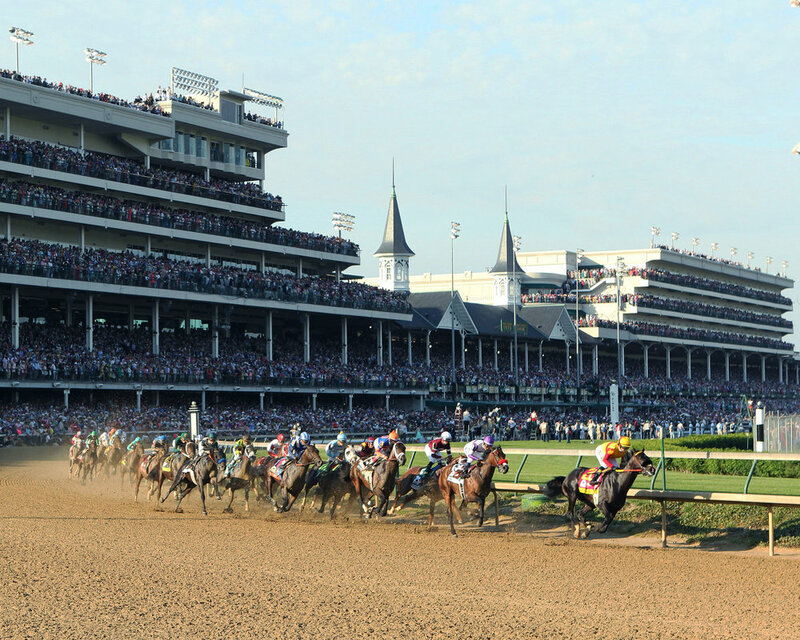 The first race in the hunt for the Triple Crown brings you fun and excitement that can only be realized if you are there. We would love to enhance your experience by taking care of all of the minor details...you have more important things to worry about. Call us today to ensure you have the best possible experience for yourself and or your clients. Be it air, land and sea, we offer a range of helicopter and jet charters, black car to motor coach as well as yacht charters. Our travel options are limitless so we can meet all your needs whether they be private or for a large company event. Sometimes, uninterrupted ground transportation is essential and safety today is a serious concern. We organize police escorts, shadowing and safety nets worldwide so you can move through cities anonymously and without interruption and with personal protection. In a continuing effort to save lives and ensure the safety of America's citizens, The Wilbur Group has expanded forming two new divisions which are the Corporation/Consumer Safety Program and the Nationwide Emergency Helicopter Evacuation Program.